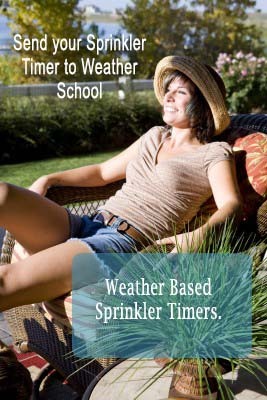 Do you mean I don't need to reprogram my sprinkler controller? I will never forget the first time I heard these words from a customer who installed Weather Reach smart irrigation control at his home. There was such delight in his voice. I realized then that we were doing more than improving water use efficiency, saving money and keeping landscapes healthy, we were easing the burdens of our customers. I then began recognize how many people are intimidated when standing in front of an sprinkler controller. Most of the time when someone is standing there it is because there is a problem and they are not sure how to solve it. Usually the problem is the landscape is drying out or way too wet. As they stand there, they are trying to decide what to change and how to change it. So yes, we do ease the worries of our customers, because Weather Reach Controller Link monitors the weather and adjusts irrigation schedules automatically. Set it and forget it. Yes it is true. The only times I have not seen set it and forget it work, are settings mistakes or failure of some component in the overall system. The technology is sound, it works. So relax and don't worry about watering your lawn. Let me help you learn how to use and trust irrigation control technology.